Everyone makes mistakes or embraces disappointment along Life’s Highway. Some of these encounters leave lasting scars, others heal in the fullness of time. 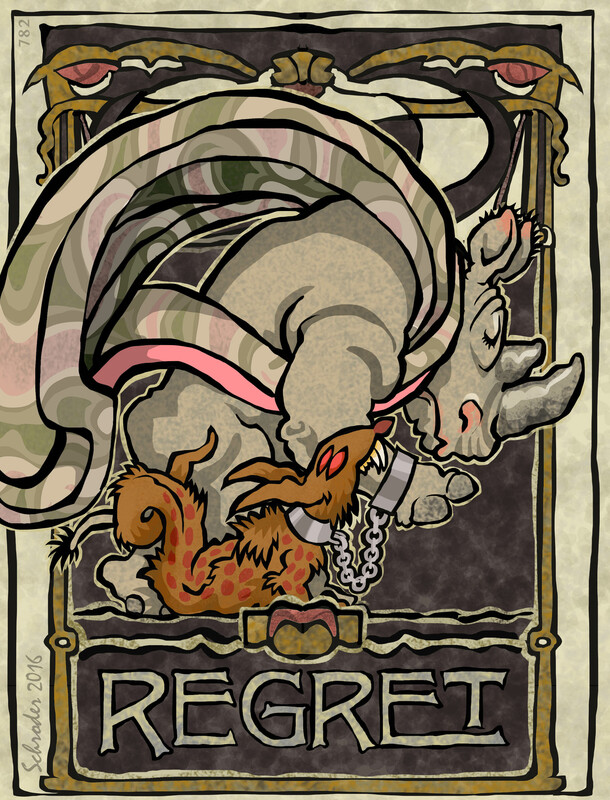 Every Rhino is shackled to troubling memories, and each memory has its own curious characteristics; no two regrets are the same. They come in different shapes and sizes, but they all know how to gnaw your ankles. Ultimately, Rhinos can’t go back and fix things. It’s Too Bad. Another great post, both art and sentiment. We all have the puncture marks to prove your thesis. You’re amazing, sir! If only there were a weeping heart emoji! If it existed, I would use it here.